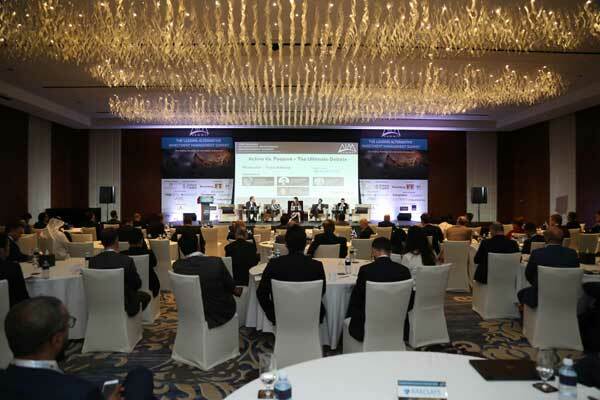 Leading global investors will discuss how worsening financial conditions around the world are creating rebound opportunities in emerging and frontier markets at the AIM Summit to be held from November 26 to 27 in Dubai. Each year, the summit draws over 500 investors and investment managers overseeing $10 trillion in assets including sovereign wealth funds, family offices, hedge funds, private equity managers, private debt managers, venture capitalists, endowments, foundations, pension funds, digital asset and blockchain innovators, investors, and disruptors. Veteran emerging markets fund manager, Mark Mobius, is one of several top business leaders due to speak this year. During his address, Mobius will discuss the investment opportunities created in emerging and frontier markets by a looming trade war between the US and China and rising US interest rates. Mobius, a partner at Mobius Capital Partners, which previously built the emerging market's arm of US fund management giant Franklin Templeton, said that manufacturing companies in India, garment makers in Bangladesh and footwear firms in Vietnam, are likely to benefit from difficulties in the Chinese market. “The world of emerging and frontier markets is living up to its reputation as being fast in every way: fast growth and fast adoption of new technologies. We are entering the most exciting years for investors globally,” stated Mobius. Mishal Kanoo, chairman of Kanoo Group, will also discuss the investment opportunities opening up in the Gulf at the conference. “Family offices in the Gulf are slowly but surely becoming more sophisticated in their outlook and are looking for something that is out of the ordinary to give their portfolios that extra oomph,” he stated. “The problem in the past is that there were no credible avenues to explore due to the scarcity of such vehicles. Now, as the demand is increasing, the alternative avenue such as investing in classic cars and such are becoming a reality and are not run by less than credible purveyors. This is something unseen in the region in the past,” he added. Majority of the investors believe increasing tensions in the Middle East including the continuing wars in Syria and Yemen are creating a gloomier economic environment closer to home. However, they said, opportunities could still be found across the region. Zachary Cefaratti, founder and chief executive officer at Dalma Capital Management Limited, said that the strong fundamentals enjoyed by markets in Asia and the Middle East will continue to attract investors despite an increasingly challenging global political landscape.